Enrique Iglesias was born on May 8, 1975 in Madrid, Spain. 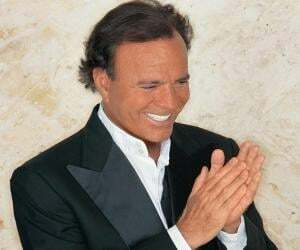 His father, Julio Iglesias is a popular Spanish singer and his mother, Isabel Preysler is a well known Madrid socialite. Enrique’s parents got divorced in 1979 and he went to live with his mother. He is the youngest of three siblings, the elder ones being his brother Julio and his sister Chabeli. In 1986, his grandfather Dr. Julio Iglesias Puga was kidnapped by ETA, an armed Basque terrorist group. Fearing for her children’s safety, Isabel sent them to Miami, to live with their father. But due to Julio Sr.'s heavy touring schedule, the family nanny Elvira Olivares took care of them. Enrique attended the prestigious Gulliver Preparatory School and studied business at the University of Miami. 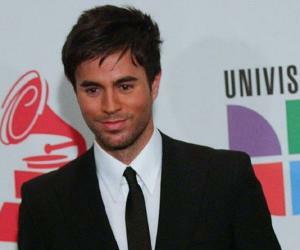 In his teenage, Enrique Iglesias wrote and performed songs at many Miami restaurants with his friends. He did this secretly without the knowledge of his parents. He did not wish to take advantage of his father's popular surname. So, he borrowed money from his nanny, and made a demo tape with one Spanish song and two English ones. He sent this to Fernan Martinez, his father's former publicist, who promoted Enrique under the stage name “Enrique Martinez”. Pretending to be an unknown singer from Guatemala, he signed a contract with Fonovisa Records in 1995. Soon Enrique dropped out of Miami University to focus on singing alone. His first album 'Enrique Iglesias' came out in July 1995. Five songs from the album topped the Billboard's Latin charts and it went gold in Portugal in just a week. Although the album was in Spanish, it gave him a huge fan following and many prestigious awards. His second album 'Vivir' came out in 1997. Three singles (‘Enamorado Por Primera Vez’, ‘Solo en Ti’ and ‘Miente’) from the album topped the Latin charts. He was nominated alongside his father for an American Music Award and his father ended up winning the award. In his first concert tour he was backed by Sir Elton John, Bruce Springsteen and Billy Joel. As expected, the group played for sold-out audiences in 16 countries. His third album 'Cosas Del Amor' was released in 1998. The singles ‘Esperanza’ and ‘Nunca Te Olvidare’ topped the Latin singles chart and he pipped Ricky Martin to win the American Music Award in the category of Favorite Latin Artist. In 1999, he released a single titled ‘Bailamos’ which became a No. 1 hit on the US charts and was featured in the soundtrack of Will Smith’s movie 'Wild Wild West'. 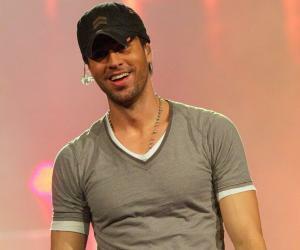 Owing to his popularity, Enrique signed a multi-album deal with Interscope. His fourth album 'Enrique' (2000) was entirely in English and it achieved gold or platinum status in 32 countries. It also featured a duet with Whitney Houston. He co-wrote all the songs for his fifth album 'Escape' (2001) and it became a huge hit. Singles like ‘Hero’, ‘Escape’ and ‘Don't Turn Off The Lights’ topped the charts in various countries. A second version of the album with a new version of ‘Maybe’ was also released. He toured 16 countries and gave 50 sold-out shows for the 'One-Night Stand World Tour'. His album 'Insomniac' (2007) was so named as it was mostly recorded at night. Some of its popular singles are ‘Push’ (ft Lil Wayne), ‘Ring My Bells’ and ‘Do You Know’. In 2010, he released the album ‘Euphoria’. It was his first bilingual album and featured the songs ‘Cuando me enamoro’, ‘I Like It’, ‘No Me Digas Que No’, and ‘Everything's Gonna Be Alright’. This album also featured artists like Akon, Nicole Scherzinger, Ludacris, Pitbull and Sunidhi Chauhan. 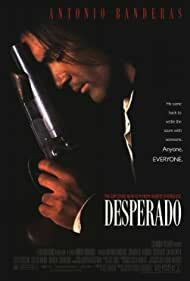 He ventured into acting with the film 'Once Upon a Time in Mexico’ in 2003 and shared the screen with Antonio Banderas, Salma Hayek and Johnny Depp. He also guest-starred in the TV shows: 'Two and a Half Men' and 'How I Met Your Mother'. His first album 'Enrique Iglesias' sold half a million copies in the first week, a feat rarely achieved by a non-English album. 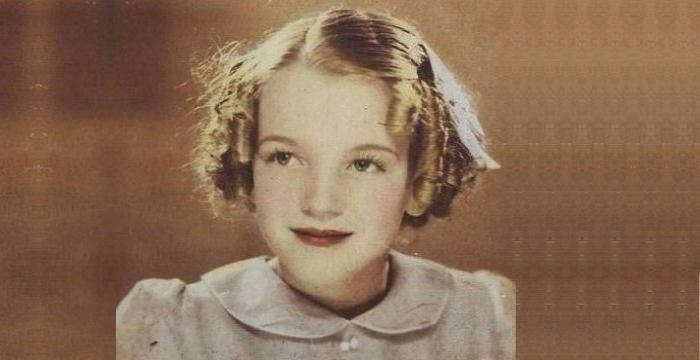 The album went gold in Portugal and five of its singles topped the Billboard's Latin charts. His album '95/08 Exitos' debuted at No. 1 on the US Billboard's Top Latin Albums chart. It was certified double platinum in the US and platinum in Russia. Till now in his career, he has won 16 Billboard Music Awards, 26 Billboard Latin Music Awards, six American Music Awards, two Grammy, four Latin Grammy and ten World Music Awards. His 2001 album 'Escape' earned him the awards for Best-Selling Pop Male Artist and European Male Artist at the World Music Awards. In 2002, he received the Most Successful Spanish Artist of the Decade award at Premios Ondas. He has won 15 Premios Lo Nuestro awards. 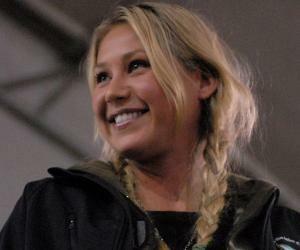 Enrique Iglesias began dating the beautiful and skilled tennis-player Anna Kournikova in 2001. They separated after 12 years as their international touring schedules left little time for them to catch up. Enrique Iglesias’s estimated net worth is $85 million. American rock band Linkin Park's organisation Music for Relief started a ‘Download to Donate’ campaign for the 2010 Haiti Earthquake victims. The co-vocalist of the band, Mike Shinoda, released an album 'Download to Donate for Haiti' and Enrique co-produced it. In 2013, in order to help the Typhoon Haiyan victims in Philippines, Enrique Iglesias asked his fans to donate money via the American Red Cross. He has supported a lot of charities including Habitat for Humanity, Help for Heroes, Live Earth, Music for Relief, City of Hope, Special Olympics etc.